WGBH Boston Video and Granada International have released Northanger Abbey, the latest Jane Austen adaptation that premiered this past spring on Britain's ITV Channel. Streamlined to a sprightly 86 minutes, this enjoyable little romp make take liberties with Austen's affectionate parody of Gothic novels, but it's fairly faithful to the spirit of her novel, providing a diverting lark that fans of Austen - provided they're not purist sticklers - should find entertaining. Catherine Moreland (Felicity Jones), a 17-year-old beauty-in-waiting from rural Fullerton, is given an invitation by her family friends, Mr. and Mrs. Allen (Desmond Barritt and Sylvestra Le Touzel), to join them in Bath, England, a spa city of culture, entertainment, and high society. The naive Catherine, who is obsessed with romantic Gothic novels, has one of her primal dreams come true when she meets handsome, wealthy clergyman Henry Tilney (J.J. Feild) at a society ball. Tilney shows obvious interest in the beautiful country girl, but Catherine has reason to believe he may just be a passing fancy, since he soon leaves Bath, with no explanation, for several days. No matter, though; another young man, John Thorpe (Willam Beck), also watches Catherine at the ball. When Catherine is introduced to Isabella Thorpe (Carey Mulligan), a naughty new best friend is made. Isabella, a saucy minx whose brother John knew Catherine's brother James (Hugh O'Conor) in college, immediately sets her sights on ensnaring James, incorrectly assuming the Morelands to be potentially wealthy when the Allens, who are childless, leave their fortunes to Catherine and James. Interest in James doesn't stop Isabella, who also loves Gothic romances - the more salacious the better - from flirting with Henry's dashing, cold older brother, Captain Frederick Tilney (Mark Dymond), and eventually becoming his lover. Catherine, despite attempts by John Thorpe to press himself on her, renews her courtship with Henry, which is good news to Henry's father, General Tilney (Liam Cunningham), who is led to believe by a jealous John that Catherine is indeed wealthy (and therefore a safe match for wealthy Henry). 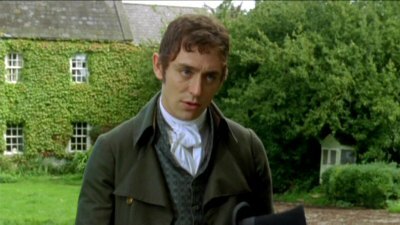 Inviting Catherine up to their forbidding mansion, Northanger Abbey, for several weeks, stern General Tilney initiates with his invitation a series of events that will turn Catherine and Henry's life upside-down. Last week, I reviewed one of the other new Jane Austen adaptations that ITV kicked off their Jane Austen Season last spring; three films that I understand will appear on the newly rebooted Masterpiece Theatre (you can read my review of Persuasion here). Like that film version, Northanger Abbey has been retooled specifically to appeal to new viewers who may find older film versions of Austen's novels staid or too dense. Gone is quite a bit of Austen's profuse backgrounds of various characters - and the resulting nuances, as well. Events have been compressed, or invented out of whole cloth, and the energy level has been jacked up to reinvigorate viewers more accustomed to the stately pace of previous Masterpiece Theatre presentations. Naturally, there are those who find such "improvements" not improvements at all, but those same viewers usually find fault with any film adaptation of a literary classic. While Persuasion was beautifully naked in its fever-like emotions, creating a direct plea to the audience to connect with its heroine, Northanger Abbey is quite different in tone, with a fast-paced comedic sensibility that may not be pure Austen, but which comes close to what she was trying to achieve with her novel. Northanger Abbey, her first completed novel, was a gentle parody of the Gothic form that still featured submerged, stinging Austen commentary on the dynamics of men's and women's relationships, as well as on the nakedly venal jockeying of the various classes in the pursuit of profitable marriages. Her "heroine" was an inversion of the typical Gothic heroine, in that she turned out to be completely wrong in her dangerous, highly romantic assumptions about the Tilney family. Suffused with the sensibilities of the coarse, common Gothic novels that were considered declasse for a young woman of her position, Catherine assumes that something terrible happened to General Tilney's wife, who died years before. Taking the word of flighty Isabella and scheming John Thorpe, Catherine eventually works herself up into believing that the General committed murder, with the foreboding edifice of Northanger Abbey fueling her fictional obsessions. Among the several thematic elements that Austin attempted to expound on, the central one was illustrating how real-life events are far more prosaic in details - and yet far more devastating in their life-long impact - than any overheated, cardboard histrionics of a Gothic novel. And on illustrating that central theme, Northanger Abbey is fairly successful. Providing us with brief, delirious little dream sequences courtesy of Catherine's fevered imagination, the viewer immediately understands that almost all of Catherine's thinking has been adversely affected by the newly popular medium of the novel. The suspense of the film comes from our wondering if she'll snap out of her dreamworld long enough to truly understand the players on the scorecard, before her actions - again, based on highly improbably fictional conceits - irreparably harm her real-life future. While the film shifts occasionally in tone, with the earlier sequences veering dangerously close to an almost-slapstick ambience, Northanger Abbey is fairly consistent in its aims. Those Masterpiece Theatre fans not accustomed to screenwriter Andrew Davies' more flamboyant additions - and severe eliminations - may initially pass off Northanger Abbey as a Avon romance novel come to life. But the spoofy, obvious comedic tone of the piece is wholly self-conscious and intentional, and entirely in keeping with Austen's original intention. Evidently, some English viewers were put off by the Irish location work (for whatever reasons - perhaps monetary - the more expensive prospect of dressing authentic Bath locations for period filming was abandoned). But the skimping won't bother the majority of U.S. viewers who won't know the difference, and as with Persuasion, the production design and lensing is quite nice, with all costumes and set decorations up to par. The acting, as with most British period productions, is exemplary. Felicity Jones pulls off the neat trick of appearing both country-bumpkinish naive and sexually desirable - perfect for her character. She handles the comedy well, and has nice, heated chemistry with Feild (he looks rather disconcertedly at times like Jude Law). He's quite adept at getting across Henry's cynicism, while providing female viewers with the required handsome, wistful romanticism called for in this type of film. Carey Mulligan is ideal as the sexually active, willful, scheming Isabella, and William Beck is suitably odious as the opportunist John Thorpe. Directed by Jon Jones in a manner befitting this abbreviated, amped-up adaptation, the cast is obviously having fun with this speedy little comedy - which translates well to the viewer. Just a small note, however, concerning this U.S. disc version of Northanger Abbey. According to some sources I've read, there may be a scene or scenes in the original British TV version that are not present here. Specifically, there's a sequence where Isabella and Catherine discuss a rather torrid Gothic novel, The Monk, which leads to a dream sequence where Catherine, in her bath, imagines Henry coming to her naked. The initial discussion between the two girls is here, leading to a brief shot of sleeping Catherine writhing in obvious sexual pleasure on her bed, but an abrupt cut to an opera performance may indicate that the subsequent dream sequence was cut. 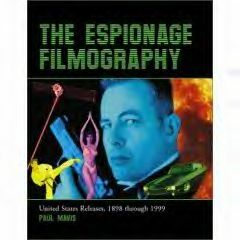 This particular DVD times out at 86 minutes, while other sources say the film was 90 minutes in Britain -- perhaps this accounts for the lost sequence. Again, I stress "may," because I haven't seen the original British TV version. The anamorphically enhanced, 1.78:1 widescreen image for Northanger Abbey looks scrumptious, with a beautifully hued color scheme and no compression issues in the super-sharp picture. The Dolby Digital English 2.0 stereo audio mix is quite adequate for this dialogue-heavy presentation. All lines are heard crisply and cleanly. Close-captioning is available. Unfortunately, there are no extras for Northanger Abbey, which is a shame, considering the fact that I'm sure promotional materials were shot for such a prestigious TV production. Purists may squawk, but I rather enjoyed the heated ridiculousness of Northanger Abbey, which takes Austen's gentle parody of Gothic novels, and turns it into an appropriately-toned bodice ripper - at least at the start. Austen's social commentary is still there, though, albeit in severely abbreviated form, and the final wrap-up is suspensefully handled. A good introduction to the novel, and entertaining in its own right. I recommend Northanger Abbey.